Sundown Naturals' Natural Whole Herb products utilize ground plant parts to provide the natural components in the amounts found in nature. 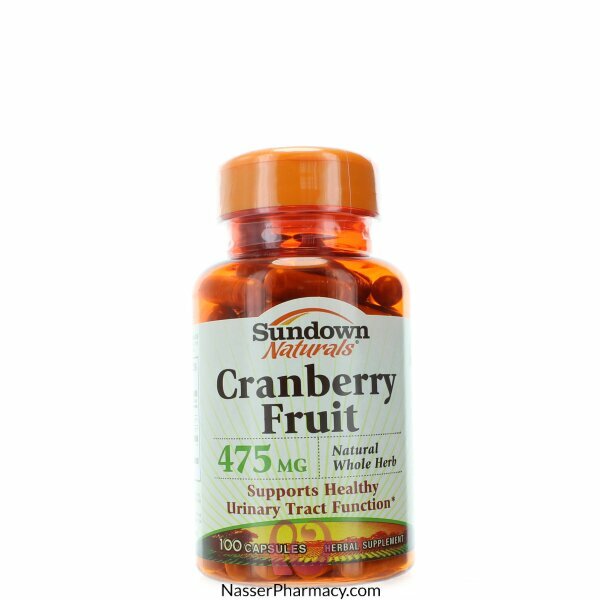 Cranberries are well known for their capacity to support urinary health, both in women and in men. Use every day for healthy urinary tract function. For adults, take four (4) capsules daily, preferably with meals. As a reminder, discuss the supplements and medications you take with your health care providers.